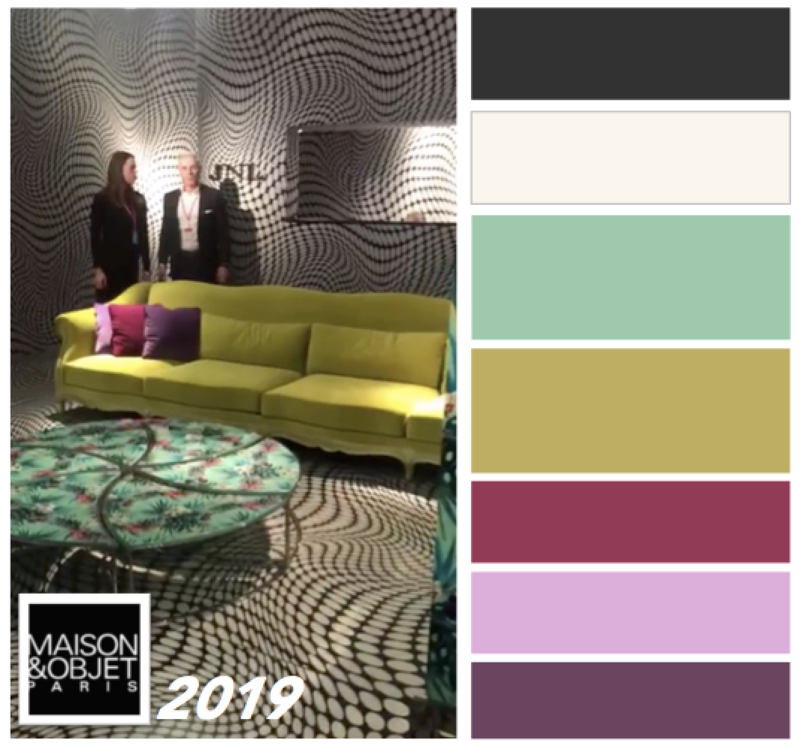 A quick comparison in colour seen at Maison in Paris vs. IDS show Toronto. Would love to see more images of Maison et Object, to continue comparing thru colourful eyes! European Design regarding colour always amazes me, and we see this annually through our work at CMG. The green in the IDS (Toronto, Canada) swatch mostly comes from all the plants we observed at the show this year, only a tiny bit of this green in textiles. 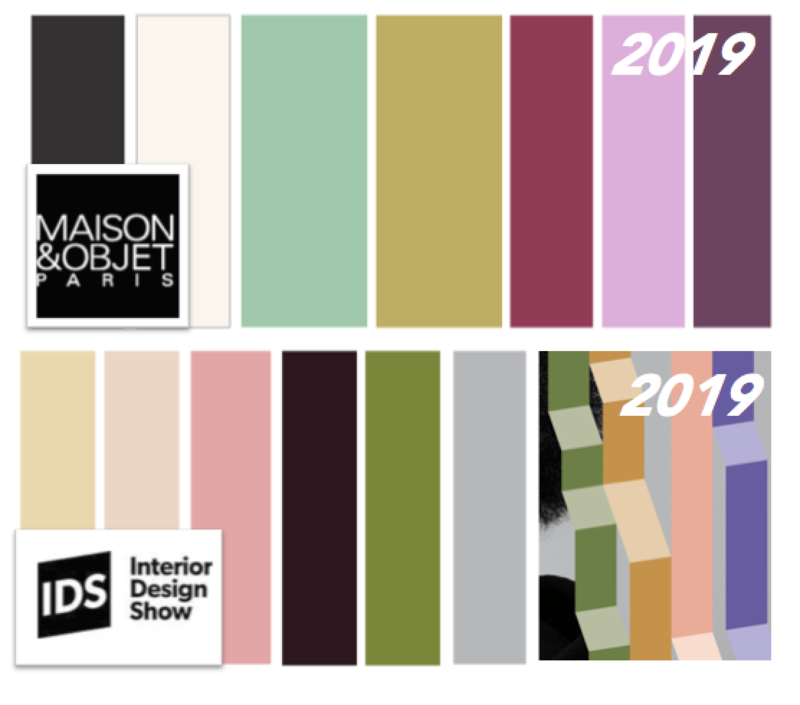 The overall European freshness of colour really resonates with fashion, as here we are seeing a tiny bit more colour on the horizon coming into 2019, there is alot of grey here still in North America. Grey is a safe interior finish, but sort of creates a sad mood in fashion, so folks let’s wear some COLOUR- toss some fresh colour in the mix- it will lift our spirits during the dreary winter! Spring Colours are in Sight! 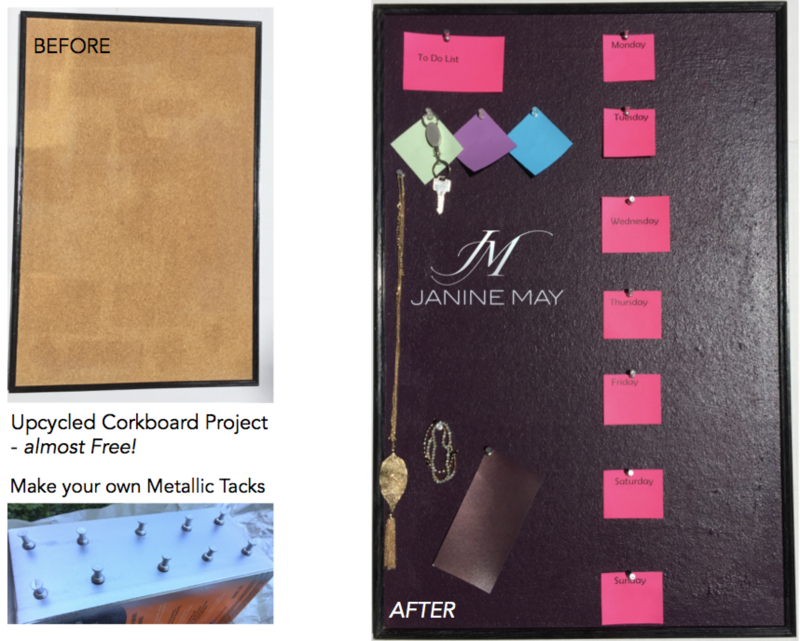 It always amazes me when I see a completed transformation like this become real! The design intention is inspired by a fusion of coastal living elegance, light, bright and feeling as though you are ready to relax in this Scandi- Canadian country home! Another perfect Staging project! These wonderful homeowners graciously followed my magic paint brush, as I spec’ed softly toned whites and smokey neutrals, some new accent pieces and plants. We all worked our magic together with the excellent team at Booth 7 Painting Solutions who made the cabinet and mantle painting transformations happen! A New Neutral for Design! 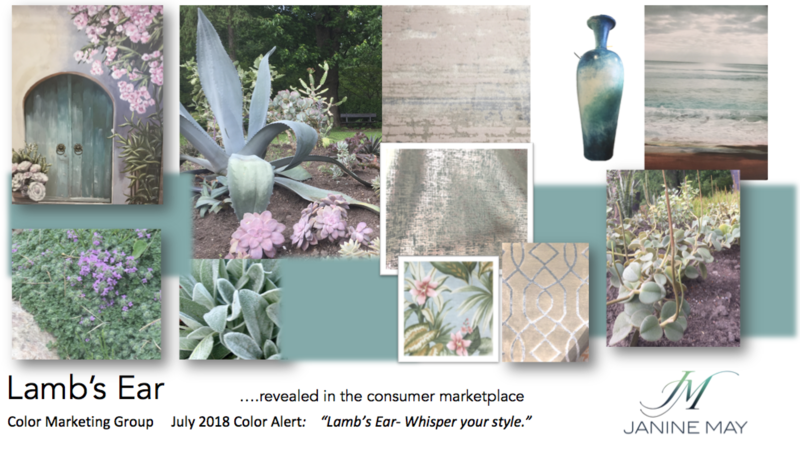 Color Marketing Group said it best: Lamb’s Ear: “Whisper your Style”! 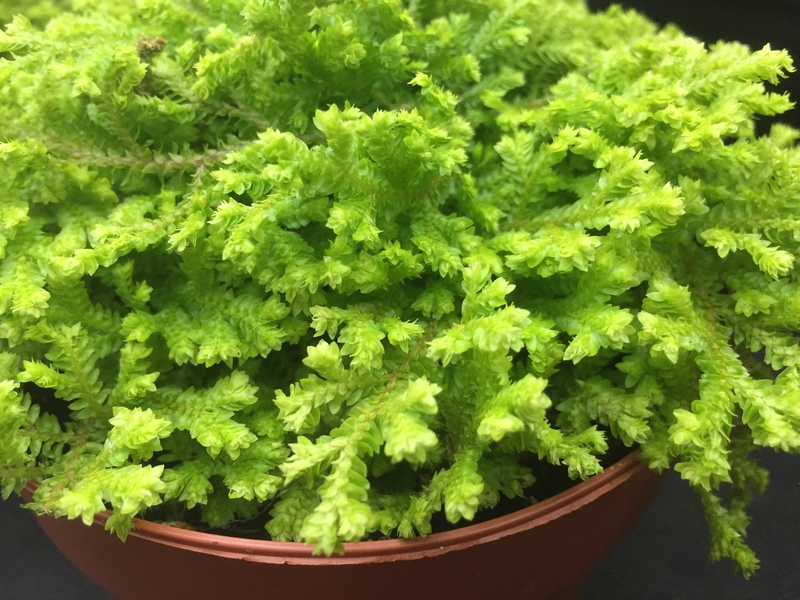 This colour is so current–it’s unreal how quietly the colour seems to appear in almost anything from softly-toned textiles, ribbons of silk, through fine wool carpets; in artwork, pottery and home decor; in our gardens as new varieties of succulents and cactus. We see this colour everywhere in home decor, even in places where grey has traditionally dominated the colour landscape. So is this a new neutral coming forward? We see some very interesting neutrals being used now. Possibly the season for Lamb’s Ear as we see in gardens; possibly this is a call for soft earth-toned hues to reconnect us with the earth and nature’s moments of solitude. Imagine sitting at the water’s edge on a crisp misty morning by the lake, soft scent of evergreen, before the sun rises and only the sound of a loon calls out. Soft, meditative ripples in the water gently glide along as water life stirs below. What a lovely way to start your day…. somewhere calm, where you can think. 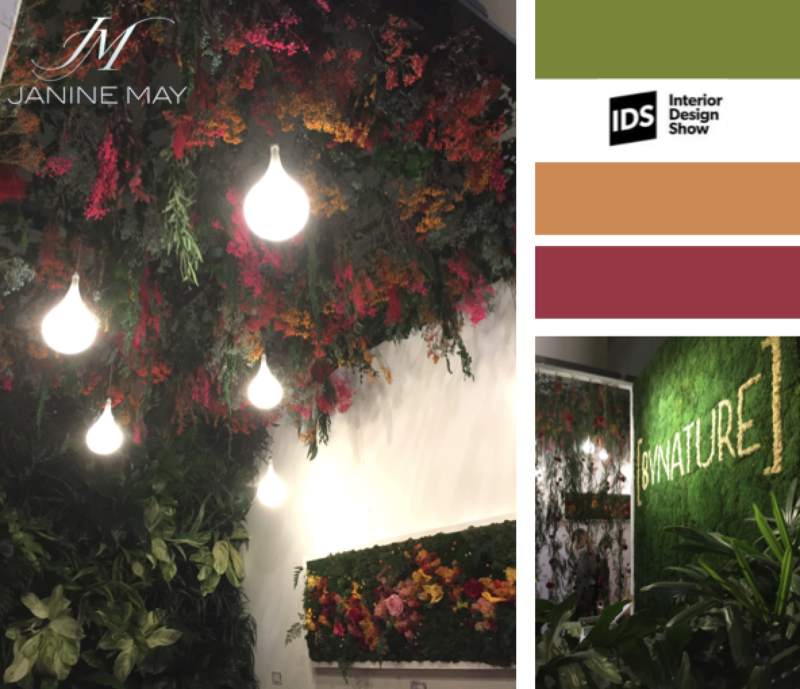 This colour transports you to that moment, a location, a time, as it is seen in many places in nature. Lamb’s Ear is definitely a colour that intrigues many of us. 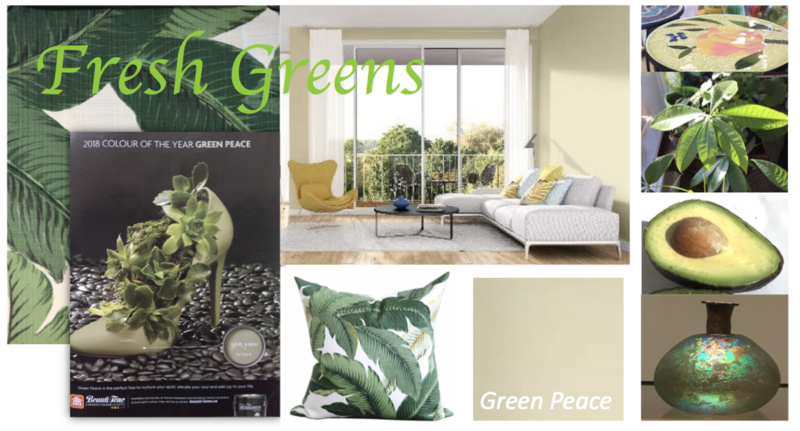 There appears a slight variance in shade and it is often paired with similar blue-green tones, (reminiscent of the plant); it is really more about the smooth feeling this colour creates with layers of light. Those who are “nervous nellies” about using COLOUR in their space or wardrobe, and currently we see a lot of white, grey and black, this colour may just resonate with you! Incorporate it into sheets, cushions, a soft wall tone, a carpet or through artwork—almost anywhere really—just be a little carefree, relax and pair it with other neutrals or soft shades. 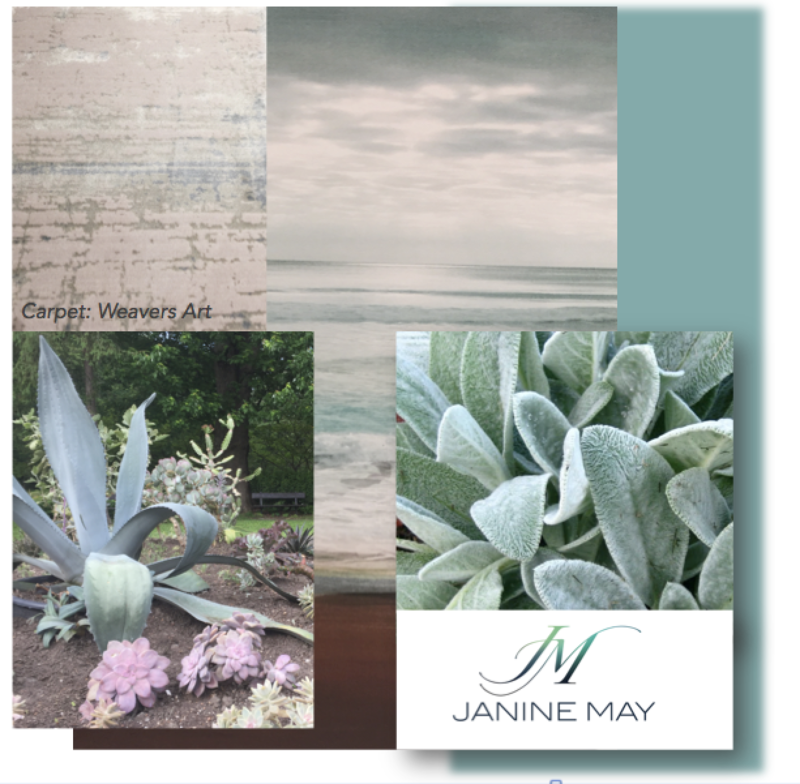 Enjoy this free flowing natural new neutral hue! 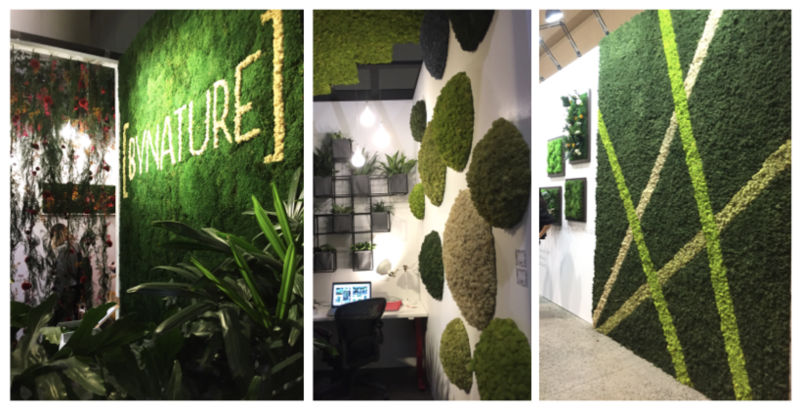 Planning for spring and the growing year ahead this past year was so invigorating! We set out to teach our little one all about how gardens grow, where do vegetables come from and what is the solar process of the plants! 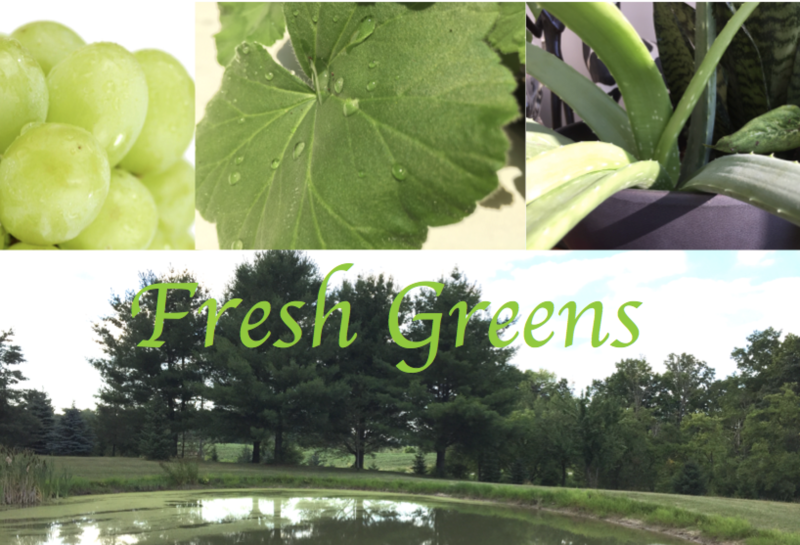 This was nothing like container or small urban gardening– this was a massive undertaking. 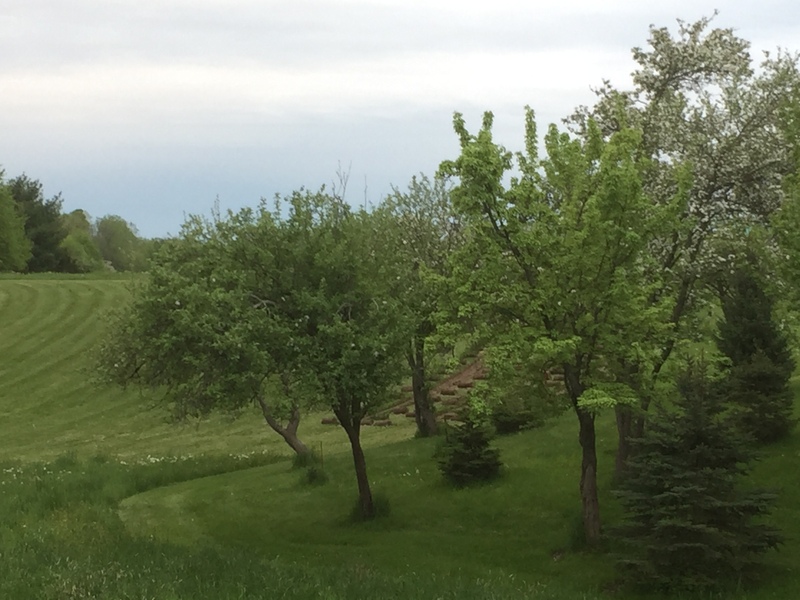 On a plot of land, we plotted, cleared and worked a series of long rectangular patches. Using recycled cedar, we created boxes, partially sunk into the ground to maintain the earth, lined with heavy duty landscape fabric and filled with triple mix soil! We planned the design to be all fenced in and protected from local wildlife, so we sunk large posts, created wooden gates and an arbor to grow some grapes thru the centre! Alternating seeds with tiny seedlings we started, veggies with flowers and herbs we created an eclectic arrangement of natures finest colours. 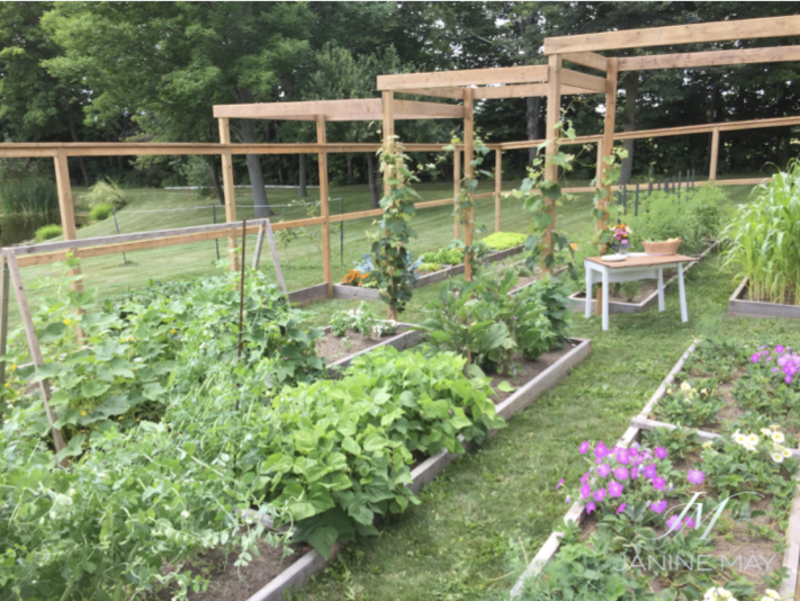 Growing everything from corn, beets, eggplants, peppers, carrots (heirloom), tomatoes, broccoli and loads of basil and strawberries, etc. What a fun project to get little ones involved in, especially if they have never seen this type of garden growing before! 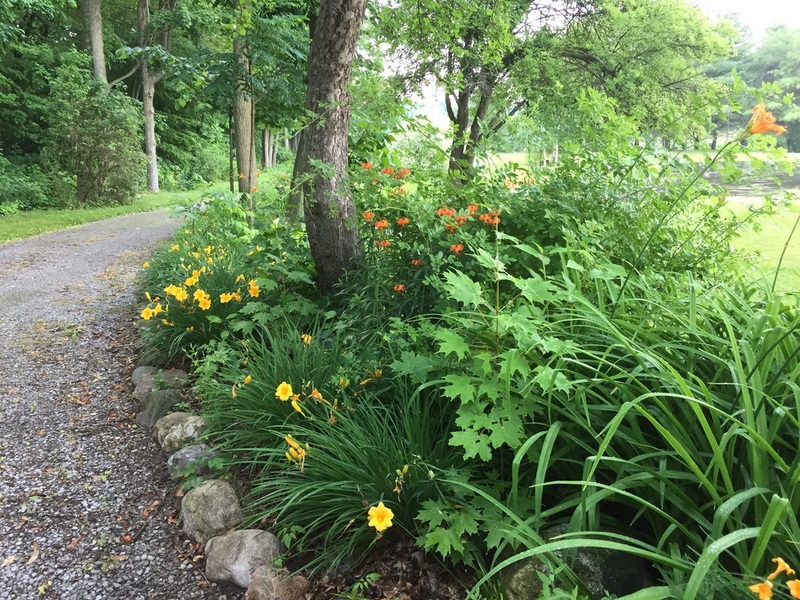 We all pitched in watering, weeding and picking- what a project! Hard work paid off for terrific results for harvests for years to come! Now what were we going to do with all these veggies? …. That’s another story! Let’s just say, everyone got organic homemade pickles for Christmas! 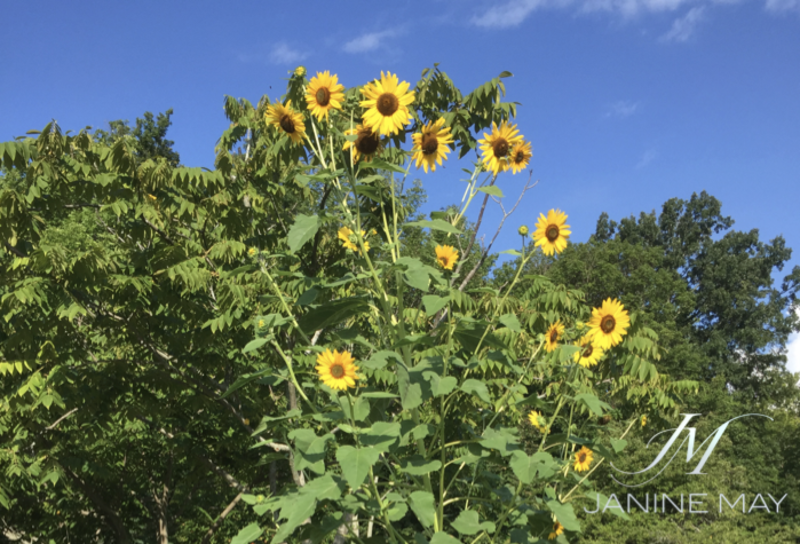 Sunflowers were 8 + feet high! 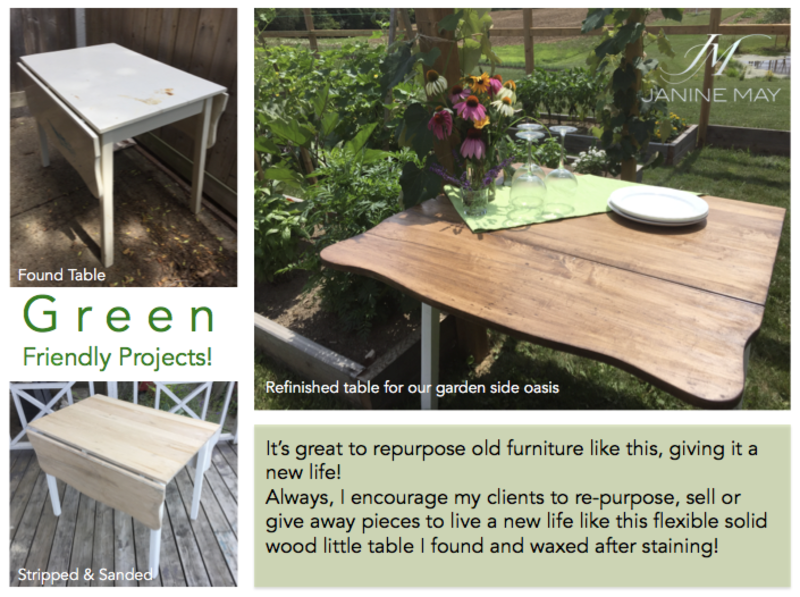 Farmhouse style wood table up-cycle project! 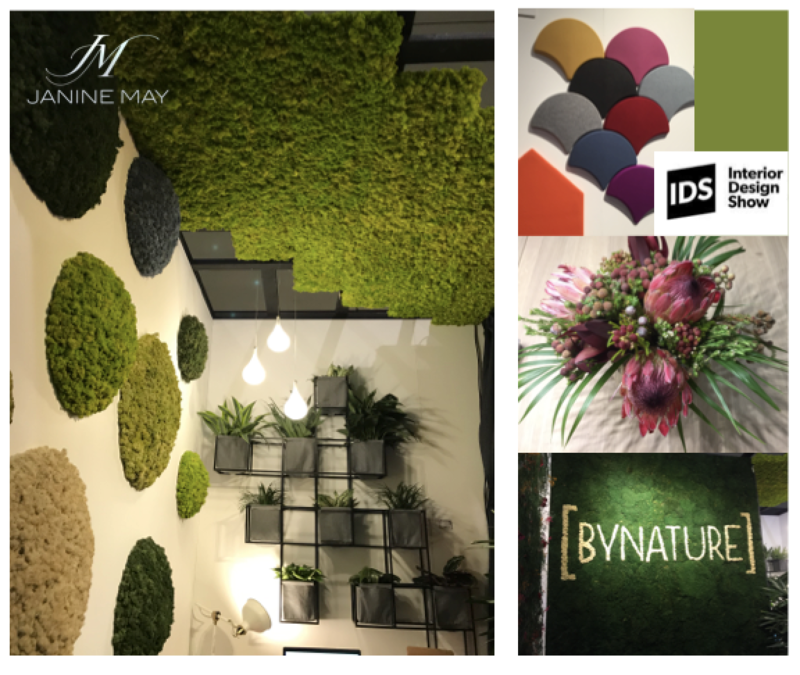 Amazing colours that continue to surface in design, decor and amongst colour professionals…. there is something most compelling about these hues….. you can almost feel the grass under your feet…. soft essence of spruce in the fresh air…. birds chirping…. escape for a just a moment…. Loving Yellow in Spaces these days…. 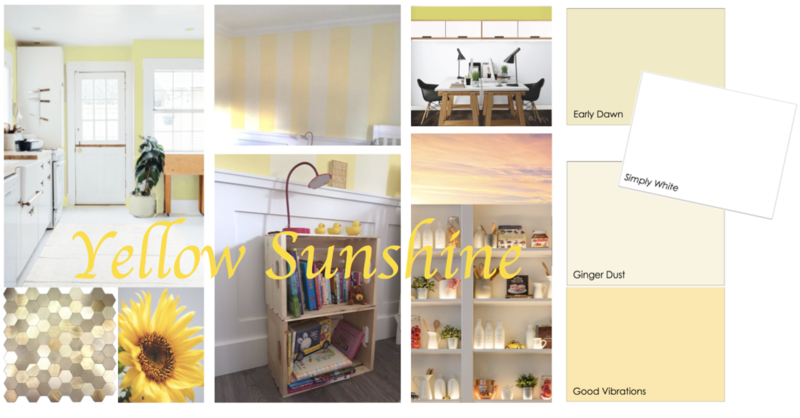 it seems we all need a little burst of sunshine in our very grey and white spaces every now and then. 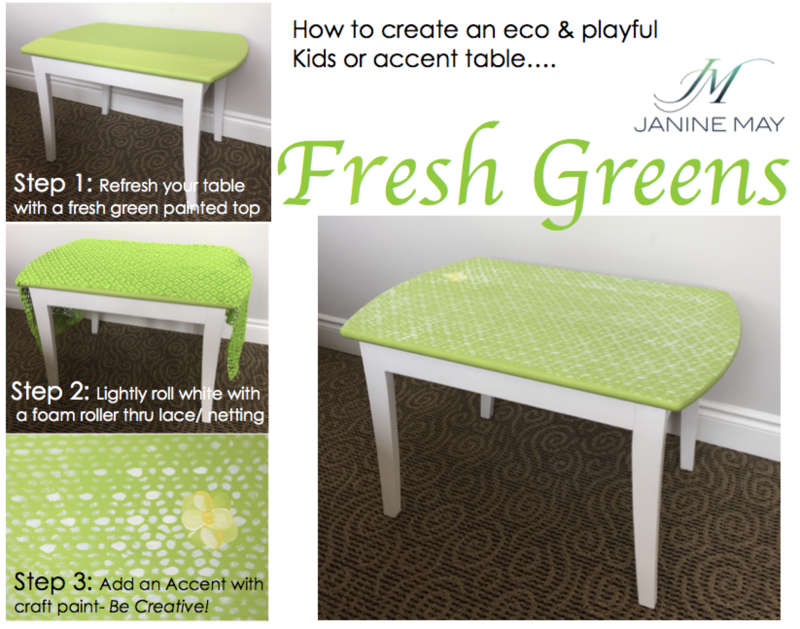 Adding a little Vitamin D to any space…. 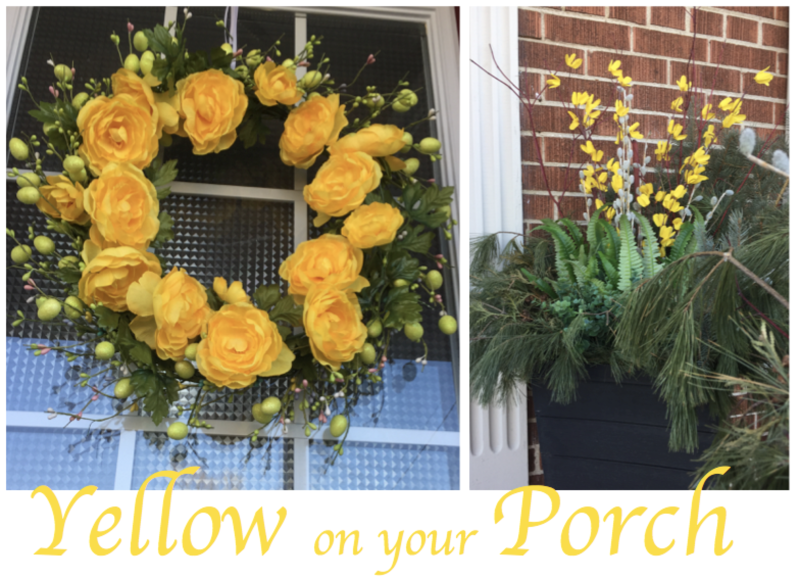 it’s almost as though Yellow just infuses your brain with instant Sunshine & Happiness with welcoming signs of Spring are all around- inside & outside! 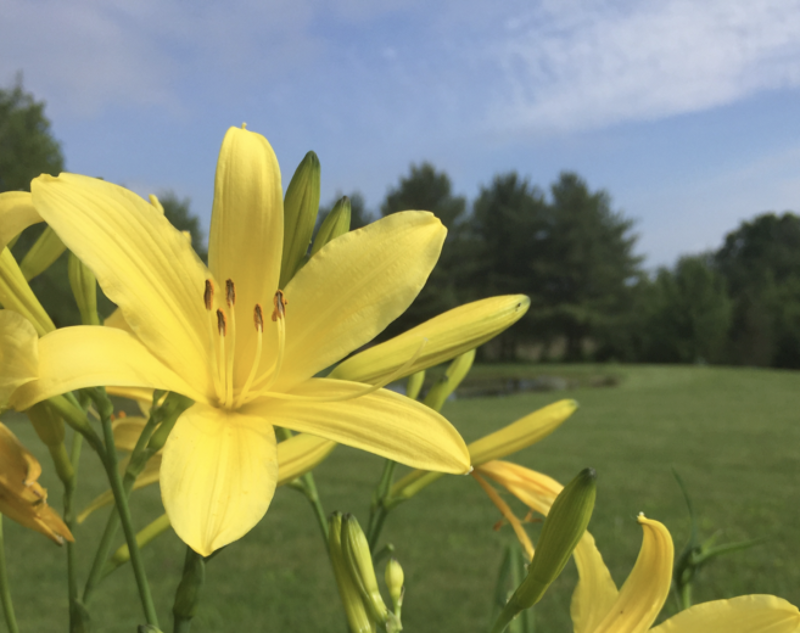 Bursting with Yellow Sunshine Inside & Outside! Working with Yellow in Design is refreshing a space, adding feelings of cheer, and depending on the shade yellow can be powerful soft & soothing or sharpe & zippy ‘full of buzzzing energy’! 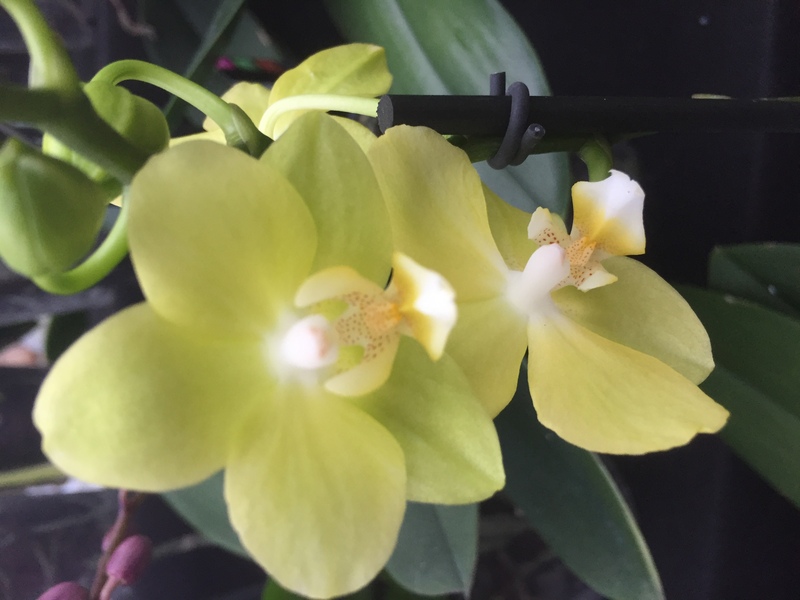 Enjoy some of my favourite yellows for your own designs….